Your Village at Work, November 14! Your weekly publication about Village happenings and events. Be sure to RSVP with us today! 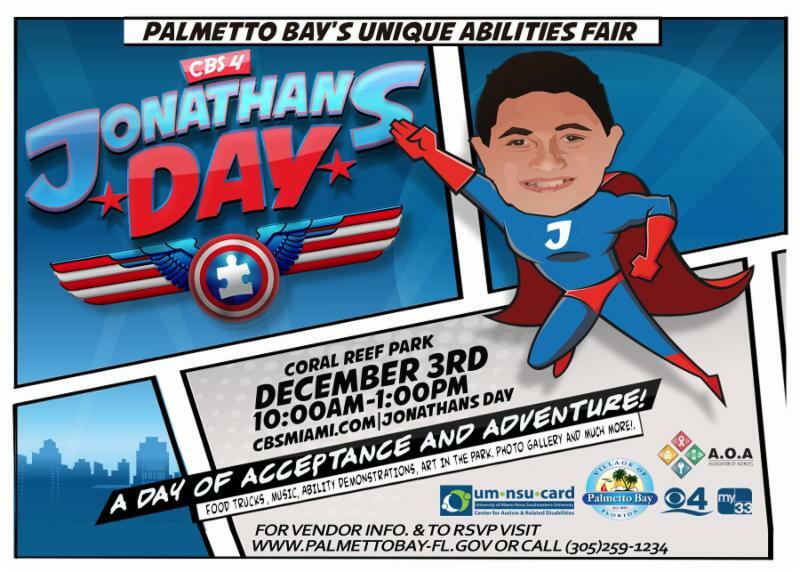 You're invited to Palmetto Bay's Unique Abilities Fair -Jonathan's Day, a Day of Community Discovery, Saturday, December 3rd from 10 am to 1 pm at Coral Reef Park (7895 SW 152nd St, Palmetto Bay, FL 33157). Jonathan's Day will be a day filled with food, fun, and programming to raise community awareness about children with autism and other vulnerable populations and their families. If you are interested in participating as a vendor, please click here or click here to make a donation! Congratulations to all the Palmetto Bay candidates for their hard work during this election cycle. To view a copy of the unofficial results provided by the Miami Dade County Elections Department. A runoff election for the Vice Mayor seat will take place on Tuesday, November 22, 2016 from 7 am to 7 pm. Please refer to our Elections 2016 page for more information. Calling all students and teachers! We are challenging you to participate in our First Responders Appreciation Day Poster Contest (kindergarten-1st grade) and our Poem Contest (2nd and 3rd grade). All submissions must be ready for pickup by Village staff at the school office on Tuesday, Nov. 29 by 12 pm. The top two entries from each school will be judged by the Mayor and Councilmembers. Winners will be announced by Monday, Dec. 5 and will receive an ice cream party for his/her class on a date of choosing by the school’s Principal. Last chance to participate ... The FIU survey is will close today at 5 pm. Please take 5 minutes to give us your feedback on the types of classes and/or training that you would like FIU to offer in Palmetto Bay. Happy Thanksgiving! Village Hall will be closed. First Responder Appreciation Day, more info to follow! 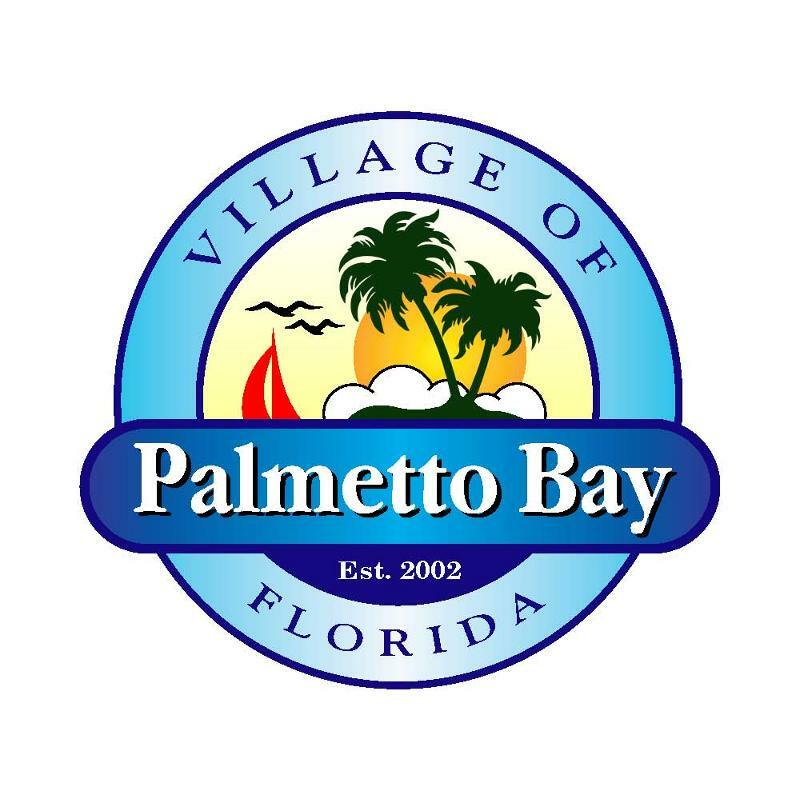 You are receiving this email because you have expressed an interest in Village of Palmetto Bay. Please add villagenews@palmettobay-fl.gov to your address book to be sure that we land in your inbox. Public Records Disclosure : Florida has very broad public records laws . Most written communications to or from local officials regarding official business are public records available to the public and media upon request. Your e-mail may therefore be subject to public disclosure, if requested.